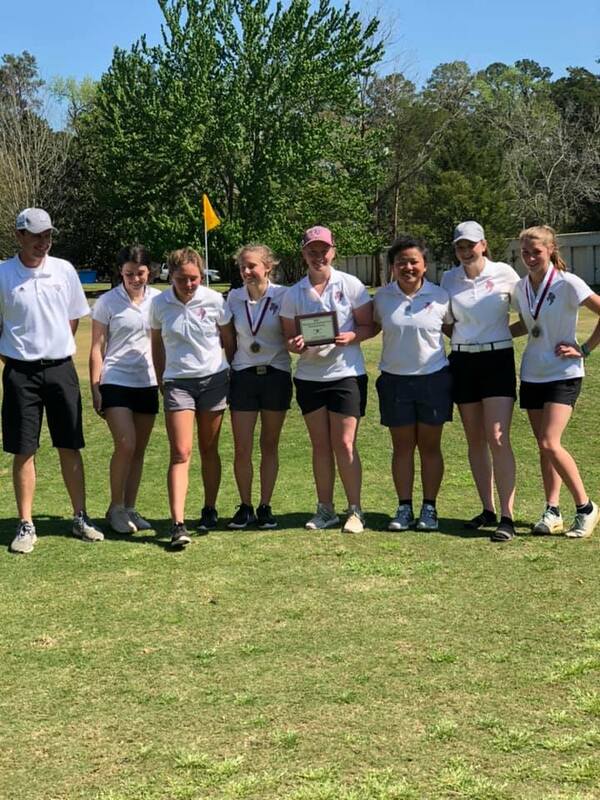 HOUSTON COUNTY – In a tune-up heading into the District 20-2A Golf Tournament, the Grapeland Sandiettes walked away with top honors at the Spring Creek Country Club Golf Tournament earlier this week. The Sandiettes – the Class 2A State Champions – won with a combined score of 345. The next closest team was the Brook Hill Guard and they were 66 shots behind with a 411. The Hudson Lady Hornets finished third with a score of 412. Individually, Sandiettes Cheney Boyd and Hannah Chipman tied for first place after they both shot an 80. Boyd won in a playoff to take individual top honors while teammate Mary Jane Watson carded an 83 to finish in third, giving the Sandiettes a sweep of the top three places. Rounding out the Grapeland team that competed at the Spring Creek tournament: Carly Parker recorded a 102; Tori Woodford had a 108; Amy Crook shot a 113; and Gracie Conner carded a 115. The Sandiettes are the defending district, regional and state champions and with almost all players returning from the 2018 squad, area golf fans can expect another strong showing this year. This year, the district meet will be held on April 1 at Hilltop Lakes in Normangee. The Regional Tournament will be held April 22-25 for both the boys and girls at Pine Dunes Golf Course in Frankston. The girls’ Class 2A State Golf Tournament is scheduled for May 13-14 at the Roy Kizer Golf Course in Austin.